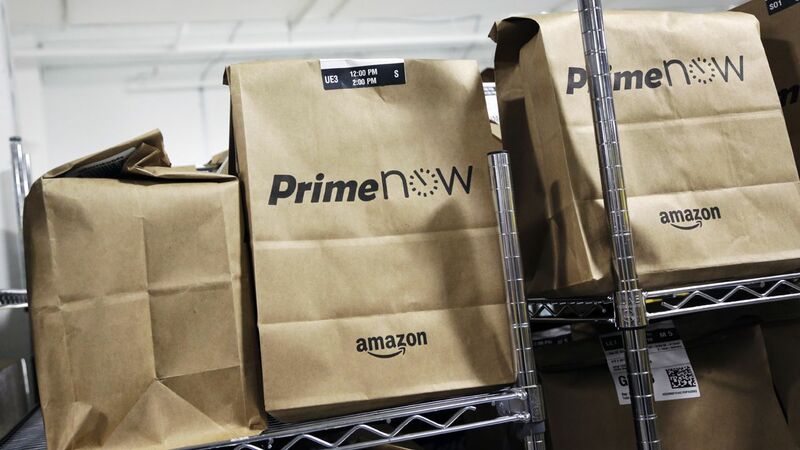 SEATTLE, Washington (WABC) -- Several towns in Central New Jersey are now eligible for Amazon Prime's free, same-day delivery, an expansion announced on Wednesday. Affected areas include those surrounding Jersey City, Edison, Scotch Plains, Rahway, Sayreville, New Brunswick, Old Bridge, Hamilton Square, Hamilton, Lakewood areas, Trenton and Princeton. With Prime same-day delivery, Amazon Prime subscribers can place an order in the morning and receive all same-day orders more than $35 before 9 p.m. the same day, seven days a week. Any order placed in the afternoon or evening will arrive the next day. Amazon said it has more than a million items that are eligible for the same-day delivery service, including toys, games, home repair tools, electronics and products for vacations. "Prime was developed to make shopping on Amazon fast and convenient, and millions of members have used Prime FREE Same-Day Delivery to make their lives even easier," said Greg Greeley, vice president of Prime. "We keep making Prime better, and as our operational capabilities grow, we will continue to invent and expand delivery options that customers love." Here are the cities where Amazon offers its same-day delivery service: Atlanta, Charlotte, Chicago, Cincinnati, Dallas-Fort Worth, Fresno, Indianapolis, the greater Los Angeles area, Louisville, Milwaukee, Nashville, greater New York City including Central and North New Jersey, Orlando, Philadelphia, Phoenix, Raleigh, Richmond, Sacramento, San Diego, the San Francisco Bay area including Oakland and San Jose, Seattle-Tacoma, Stockton, the Tampa Bay area, Tucson and Washington, D.C.
You can check to see if you're eligible for same-day delivery service by putting in your zipcode here. Amazon charges $99 per year for its Prime service.